Maintaining our fields is crucial to providing a safe and enjoyable experience for our players. It also is a good way to save money for the league: Each year, we spend $60,000 to maintain our fields. You can help keep those costs down by doing your part. If it has been raining and your team is scheduled to play the first game of the day, plan to arrive at least 90 minutes before game time to fill holes and ensure the field is playable. This extra time will help ensure the field is safe and playable, and that your game is not rained out. 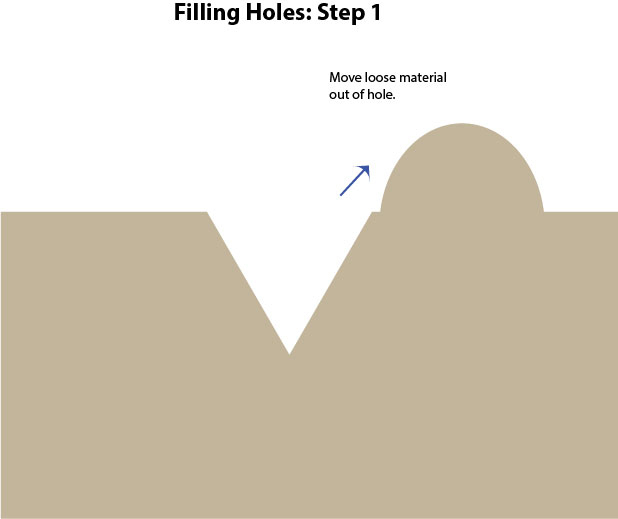 How do you fill holes? 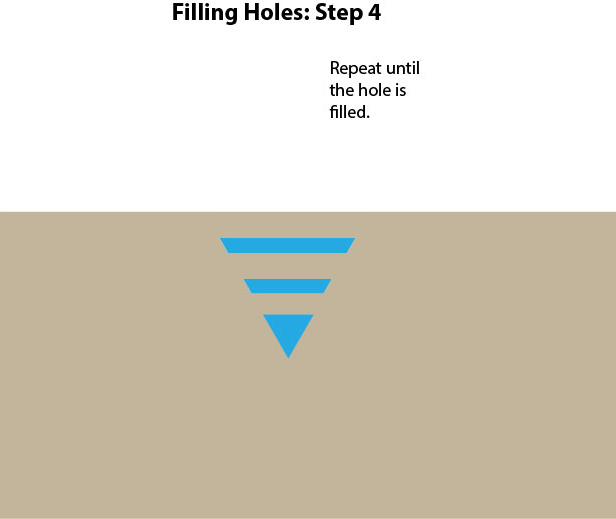 Scroll down to the see the graphics. Fields maintenance should take only about 15 minutes in most situations, so end practice early enough to fit this in before dark. Here are some key rules to follow. No practice is scheduled immediately after yours. Your game ends and you are the home team. 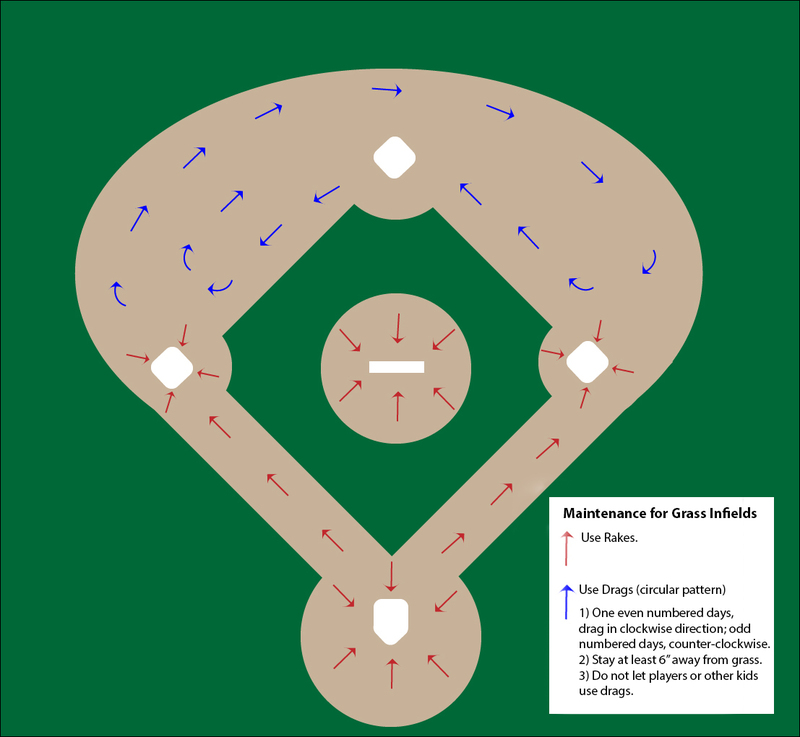 Always rake and drag toward the pitcher’s mound, home plate, and the center of the infield. Never drag or rake towards the grass: This moves topsoil to the grass, where it does the players no good. 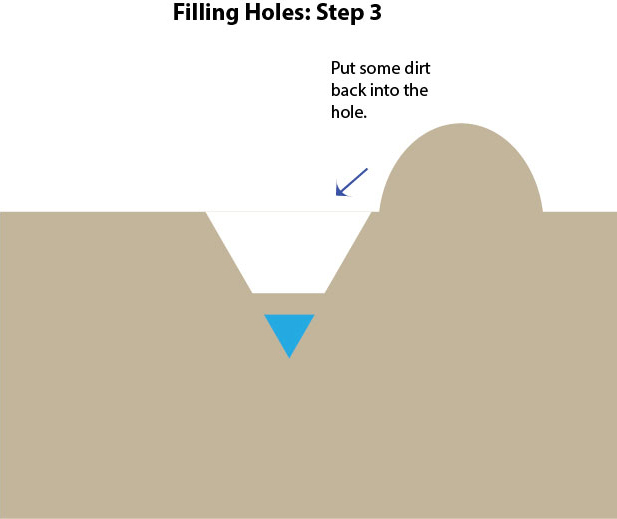 Always fill holes. 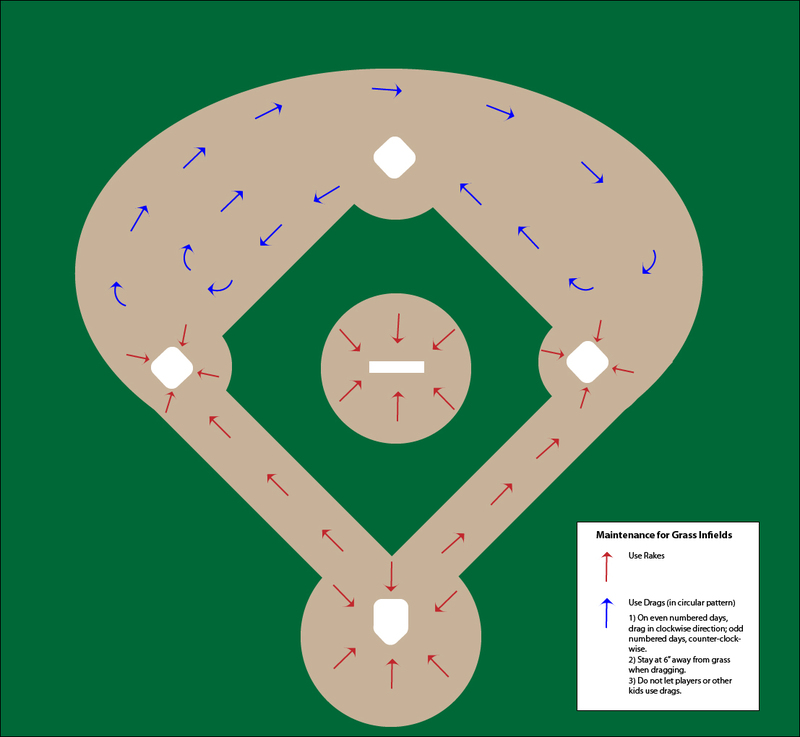 These most often occur in the batters’ boxes and in front of the pitcher’s mound. When holes are not filled, we get deep puddles, unplayable fields, and more rain outs. 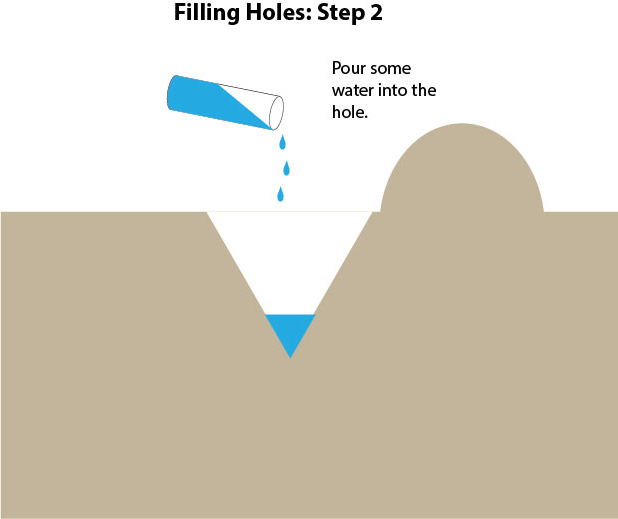 To fill a hole correctly, see the graphics below. 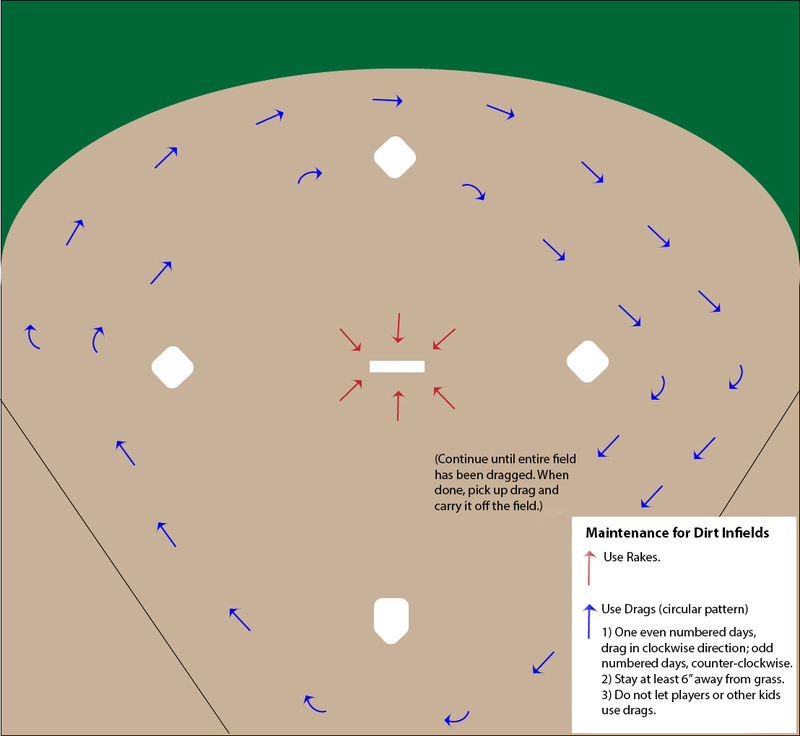 The diagrams below show how to maintain fields using drags and rakes.